NJ Layouni | Time Travel. Sideways. Logic will get you from A to B. Imagination will take you everywhere... Albert Einstein. 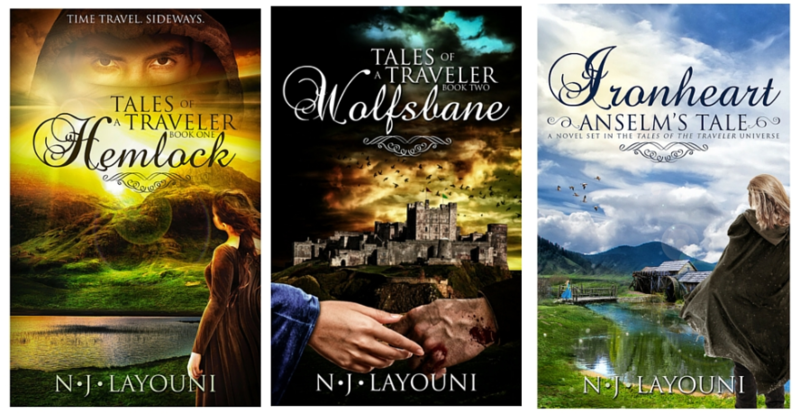 N.J. Layouni is the author of the best-selling 'Tales of a Traveler' series. From the confinement of her writerly dungeon, she writes the type of stories she loves to read. Time travel romance stories featuring flawed but dashing heroes, and feisty, imperfect heroines, all served up with a dash of humour and a side of adventure! Would you like to become a member of my secret readers' group? For all the latest news from Erde, regular monthly giveaways, and two EXCLUSIVE free stories that will never be available for purchase online, simply enter your details below and I'll do the rest.